The staff at a vet clinic in Spokane, Washington, arrived one morning in 2005 to find an emaciated dog tied to their door. They called animal control, who then called us. We only knew he couldn’t open his mouth. We didn’t know why. We rushed him to our internal medicine specialist in Helena, who inserted a stomach tube for feeding. The diagnosis: Chronic masticatory myositis, a disease that freezes? the muscles involved in chewing, leaving a fused jaw. As the muscles atrophy, it can make the cheeks and the top of the head look sunken. Early treatment with medications can be successful, but in Travis? case it was too late. 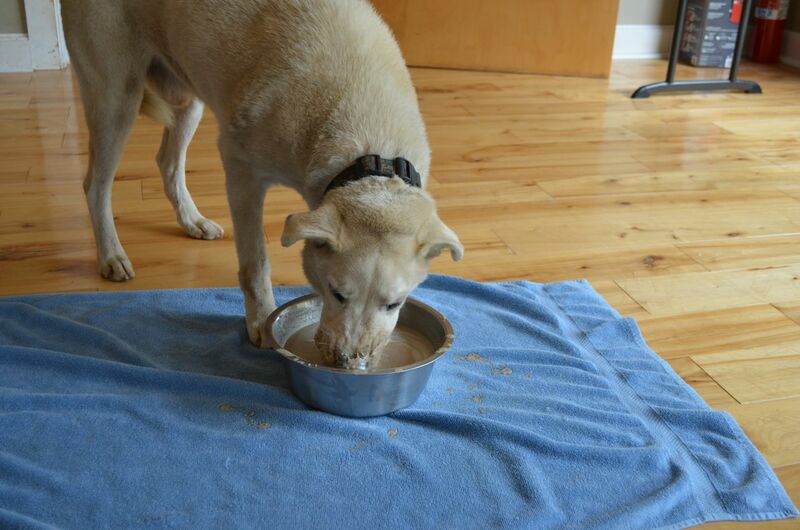 To feed him, we blended up a liquid food, poured it into a bowl, and pulled the liquid into a 60-cc syringe. We attached the syringe to the feeding tube in his side and gradually pumped the food into his stomach. The other dogs loved Travis? food, so we?d put the the bowl on the kitchen floor to be licked clean. A couple of weeks later, we found Travis on the floor one evening, licking his bowl. We wondered, how is he doing that? We discovered he could get his tongue out of the left side of his mouth between the teeth in one area. It wasn’t a lot, but it was enough to slurp up liquid. He didn’t like being fed through a stomach tube — who would? 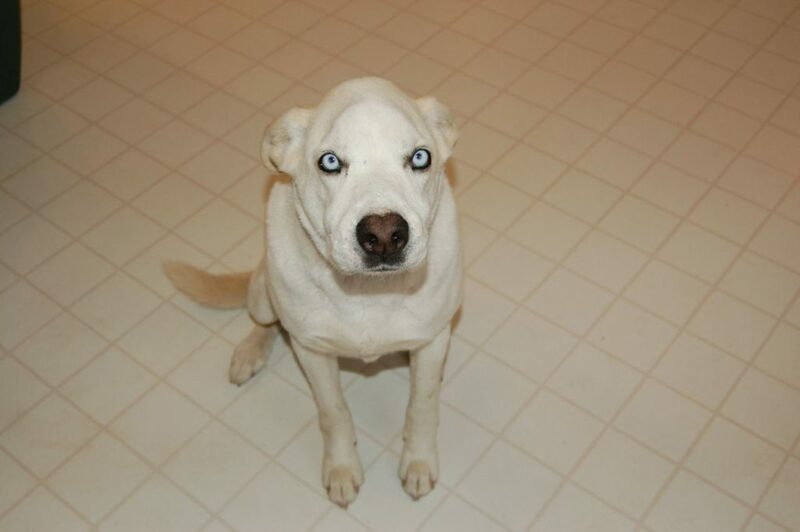 — and he would enviously watch the other dogs eating on their own. For the next meal, we poured his food into the bowl and set it in front of him. He dived in, nose first, slurping away. He was so happy to be eating on his own again! Needless to say, there’s no tidy way to do this, and by the time he gets done it looks like a food fight in a school cafeteria. But he’s content. We never fed him with the tube again. 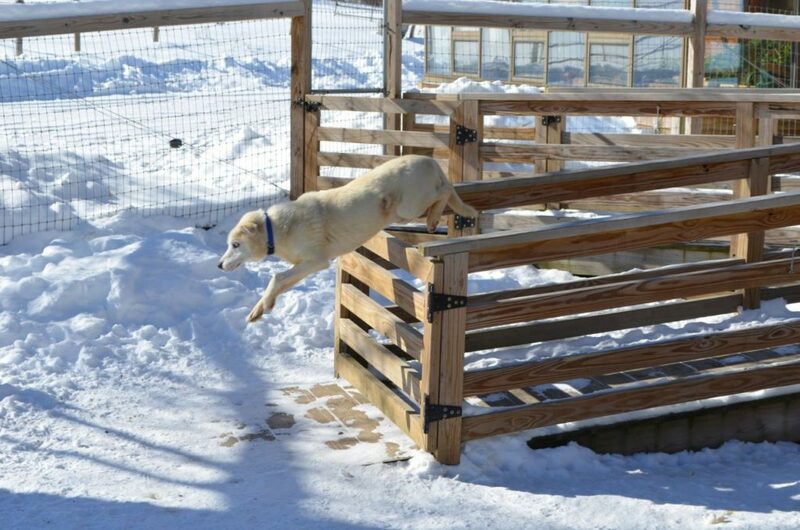 We also learned Travis was a high-energy agility dog. 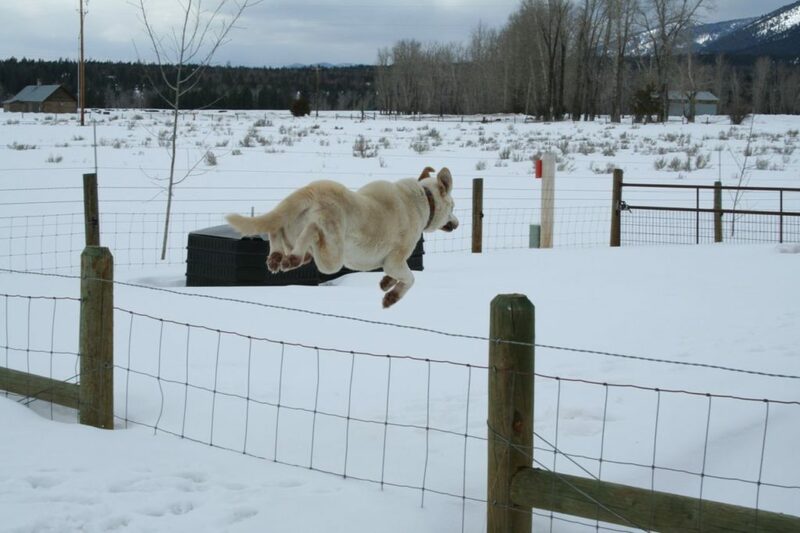 When the snow piled up, Travis would do steeple-chase runs around the dog building, leaping over the fences like a million-dollar racehorse. We think he just liked showing off to the other dogs, even if most of them couldn’t actually see what he was doing. 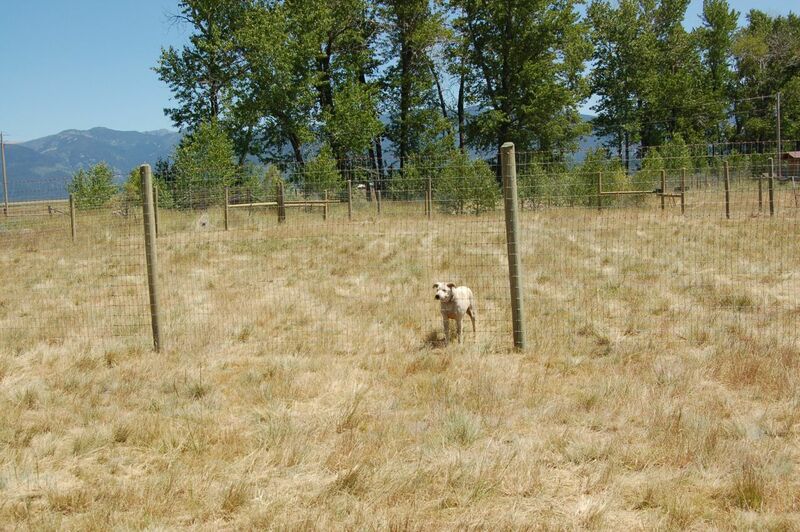 Travis eventually decided he could clear the perimeter fences, too. He was particularly fond of doing this on bitterly cold days, just as the sun was going down, and the temperatures were heading to minus 20. He?d take off down the county road, headed for the highway two miles away. We?d hop in the truck and race after him. These days at the farm here in New Hampshire, Travis has mellowed with age and is no longer interested in taking off. But just in case, we have a 6-foot high fenced yard ready and waiting! Update: In November 2013 our team of veterinary specialists used a novel if simple technique to get Travis’ mouth open — read about it here. That procedure led to a much needed dental for Travis, done by a board-certified veterinary dentist. You can read how that went here.